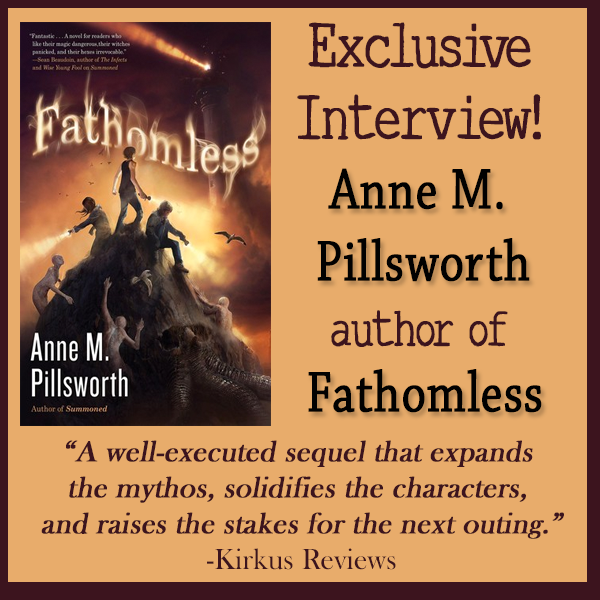 FATHOMLESS is the next book in the Redemption's Heir series, and we're excited to have Anne M. Pillsworth here to tell us more about it. Anne, what scene was really hard for you to write and why, and is that the one of which you are most proud? Or is there another scene you particularly love? I found most difficult the emotional climax of the story, in which Daniel reconciles himself to his past and finds the way to his future -- his situation, while fantastic, had still to show its universal roots. I was most proud of this chapter, I think, especially when I figured out how to weave Sean's parallel struggles in with Daniel's. 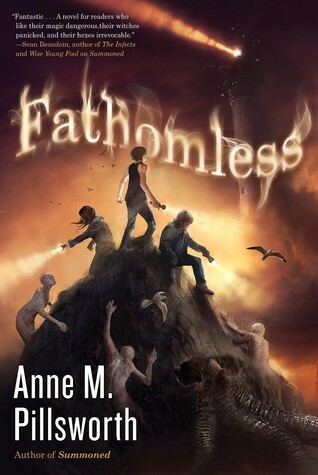 What do you hope readers will take away from FATHOMLESS? A sense of cosmic wonder that struggles -- triumphs -- out of our mundane apprehension of other worlds, other lives. A kind of "Wow, that was weird, and yet wow, that was cool." Well, I'll let one thing sum it up: I queried 281 agents before finding the one who believed in the book (SUMMONED - first in Sean's series) enough to take it on. That was over the course of about two years and one major revision of the manuscript. I had written three novels before SUMMONED. The high school opus, scrawled in a notebook, has been lost, which is the only reason I've given up on it. The other two may yet see revision and submission and publication! What advice would you most like to pass on to other writers? Try to write for the writing itself, because publication and reader response and awards and so forth are largely out of your hands. Is doing this hard? YES, oh YES, oh YES, it's hard. Writing can be so lonely and applause can be so sweet, especially in the imagination. I think that the more you can write out of love of the act, the stronger the writing will be, the more satisfaction and peace and art you can achieve. But. If you've done your apprenticeship, acquired enough self-distance and technical knowledge to know your work is strong and publishable, do not give up. Keep it out in the world, in the game. Howl over setbacks in private, briefly, then resubmit. Write the next thing. Persevere. Persevere. Persevere. The third book in the Sean series, UNMORTAL, which will see his road grow longer and wider -- and darker. Have you had a chance to read FATHOMLESS yet? How inspiring is Anne that she queried 281 agents before finding the right one? Do you write out of love of the act?